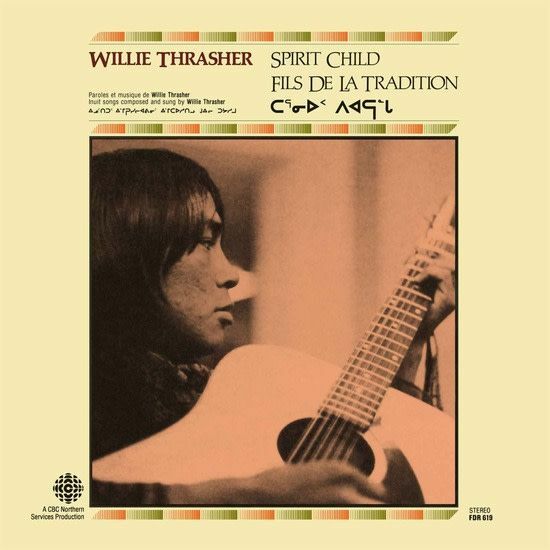 Spirit Child is the debut LP from Inuk singer-songwriter Willie Thrasher. Thrasher was born in Aklavik, a hamlet located in the Inuvik region of the Northwest Territories, Canada, in 1948. At five years of age, Thrasher was taken from his family and sent to a residential school where he was forbidden to practice his Inuvialuit culture, a shameful initiative by the Canadian government to assimilate Indigenous people into mainstream society. Music was a way for Thrasher to escape the pain and longing. Wherever he may be, Willie Thrasher is a trailblazing troubadour with an Indigenous heartbeat sound. Let Spirit Child open your ears, heart, and mind to a new folk-rock reality.